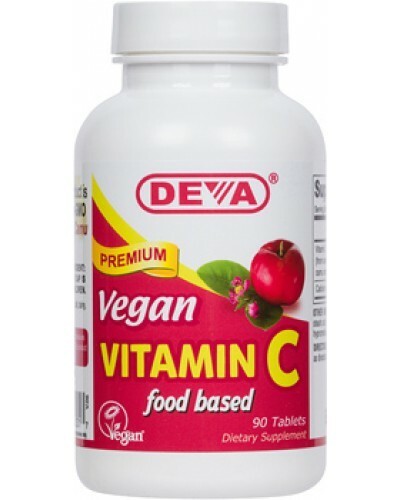 Our Vegan Vitamin C is made from Acerola Cherry, Camu Camu and Rosehips. Each tablet provides 250 mg of Vitamin C as well as various phyto-nutrients from three plant sources. Acerola Extract is derived from the fruit of the Acerola plant also known as West Indian Cherry. The fruits of the acerola tree are appreciated for their nutritive value, and they are generally regarded as being one of the richest food sources for the vitamin C in the world. Camu Camu is also a shrub like Acerola, found in the Amazon forest and known as a potent source of vitamin C. Rose hips are berries, which can be eaten fresh, dried or even preserved. They are known for their high content of Vitamin C as well. Our Vitamin C is buffered with calcium so its acidity is reduced in the stomach. This helps so that it may be easier on your stomach and less likely to cause loose stools. 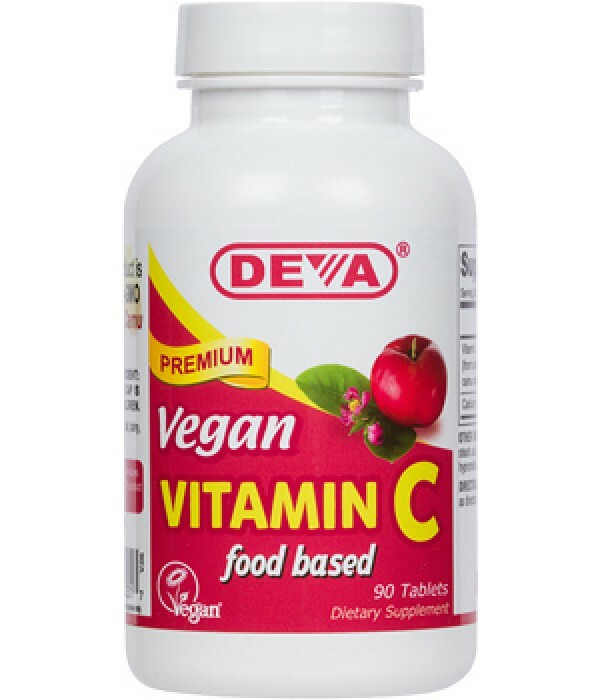 DEVA Vegan Vitamin C is 100% animal free, and guaranteed for purity, freshness and labeled potency. Remember all DEVA Products are 100% vegan, vegetarian and are registered by the Vegan Society, the non-profit organization that actually invented the word "vegan". For adults take one (1) tablet daily with food or as directed by a health care professional.